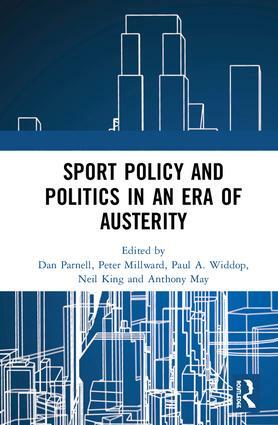 Dan Parnell is a Senior Lecturer in Business Management and Applied Researcher in Sport Business within the Sport Policy Unit at Manchester Metropolitan University, UK. Peter Millward is a Reader in Sociology at Liverpool John Moores University, UK. His research interests explore sport, social movements, and relational sociology, and the intersections between them. Paul Widdop is a Senior Research Fellow in Sport Business in the School of Sport at Leeds Beckett University, UK. Neil King is a Senior Lecturer in Sport Development and Management in the Department of Sport and Physical Activity at Edge Hill University, Lancashire, UK. Neil’s research interests include local authority sport and leisure services and non-profit sector sport governance. Anthony May is Lecturer in Sport Management at Coventry University Business School, UK.